Digital bulk wine platform Vinex is expanding its services into the bottled wine market for the first time having launched Bottle Ex – a digitised bottled wine trading service – at ProWein. Bottled Ex will see bulk wine specialists Vinex expand its digital online platform into the bottled wine market for the first time. 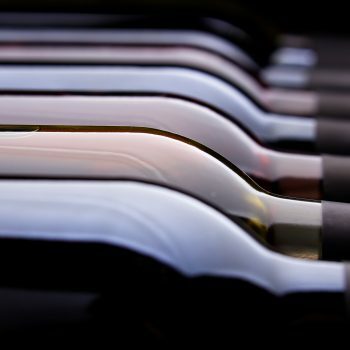 Launching two years after its initial Bulk Ex platform in 2016, Bottled Ex will allow wine producers, brand owners and major retail chains, importers and distributors to source and trade bottled wine via an online real-time exchange, which could include producer brands, private label or unlabelled wines. “This is the first-of-its-kind B2B bottled wine trading exchange anywhere in the world, certainly with this level of trading sophistication,” said Denys Hornabrook, co-founder and managing director of VINEX. The platform also allows users to release tenders for their own specific buyers’ own brands supply requirements, specifying parameters such as price point, producer, packaging, country of origin and varietal. Equally producers and brand owners can send out alerts to buyers, importers and distributors in target markets about the wines they have available, inviting buyers to make a bid for those wines, either by auction, best offer or fixed price, and respond to pre-harvest offers. “We’ve held talks with key buyers, particularly amongst the major international supermarkets, about how we can help them pursue industry best practice, particularly around increased objectivity, traceability and centralised efficiency,” adds Hornabrook. “Bottled Ex has been developed specifically to target those needs. Bottle Ex will expand the services of Bulk Ex, which was the first to create and digital platform specifically for the bulk wine market, connecting buyers with producers to trade wines alongside tools to track market fluctuations and the price of bulk wine over time. It now has buyers from 47 countries sourcing and tendering bulk wine from over 6,000 producers, from 22 countries, and has traded some 500 million litres of wine, grape must, juice concentrate, brandy and spirit since it launched in 2016.